Just a 12 percent chance Jimmy Butler is here after this year? Speculating about Jimmy Butler's future will be one of the NBA's storylines this season. Here's another nugget from the slow season for men's pro basketball. On Thursday, I advised you not to worry too much about rumors that Jimmy Butler and Kyrie Irving want to join forces as free agents after this season — presumably for a team like the Knicks or Nets. A lot can happen between now and then. Butler could still re-sign with the Wolves, particularly since they can offer him more money than any other team. I still believe that. I’m still advising calm. This mid-August, slow-time, doesn’t-have-much-to-do-with-anything ESPN.com poll is at least interesting. The ESPN Forecast Panel, which is not an official entity and might be made up of 17 squirrels with flashcards for all I know, predicted where the biggest potential NBA free agents will start the 2019-20 season. 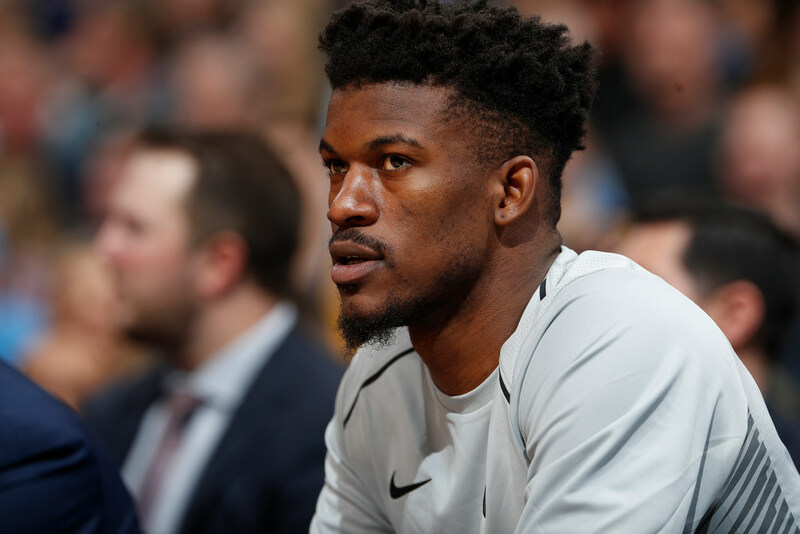 Butler was also the only player in our Forecast for whom his current team didn’t finish first or second in the voting, with only 12 percent of panelists seeing Minnesota as his long-term home. Expect the four-time All-Star to have a new team next summer. Again, there’s a long time between now and then. The only thing we know for sure is that if Butler joins whatever team Dwyane Wade is on, Wade is going to keep a close eye on his teammate. Coaches vote: Who are the most overrated college football coaches?